Stock markets have retreated from their records last week. 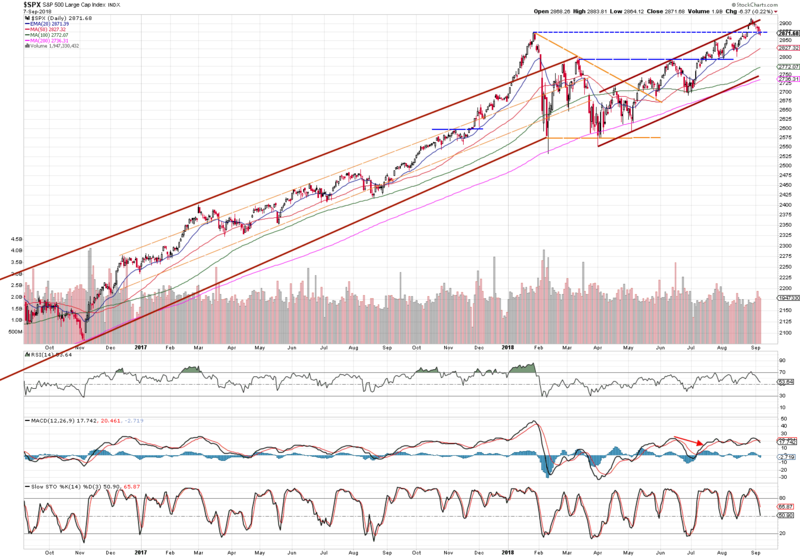 As anticipated in a previous market review, the indexes needed to consolidate. The biggest highlight of last week was an increase in wages 2.8% compared from a year earlier. This may result in an increased inflation that would have a negative effect on the stocks in short-term. Thus, we need to watch closely the inflation figures that will be released this Thursday! The major US and UK indices have landed on their short-term support levels and thus, another swing UP may look likely in short-term. However, this month is going to have some important events such as inflation results, interest rate hike announcement or Trump’s trade war tweets. Thus, investors should expect an increased volatility! S&P has broken its support (blue dashed line), however, managed to land on 20 EMA as expected. 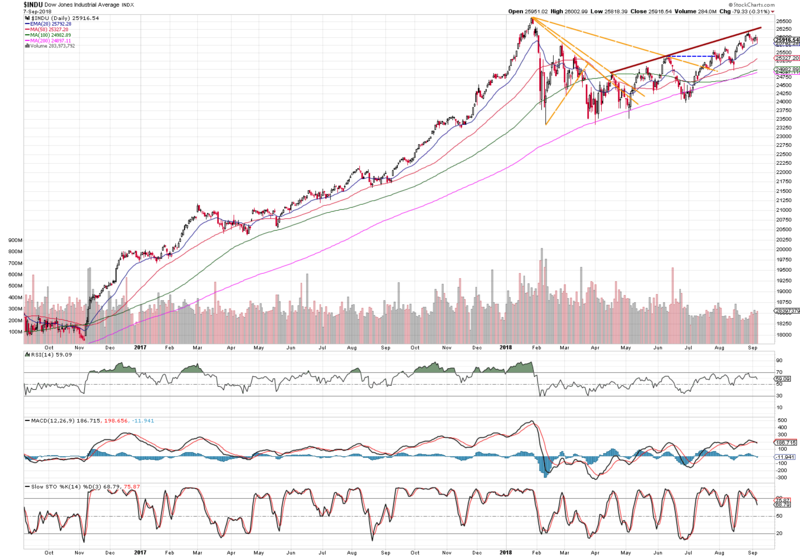 It may consolidate more towards 50 SMA. 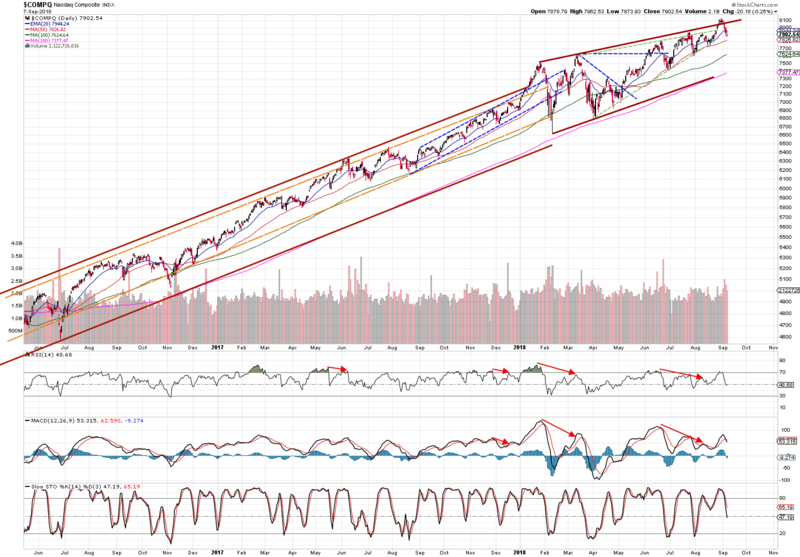 Nasdaq decreased a lot last week, it seems to be searching 50 SMA. 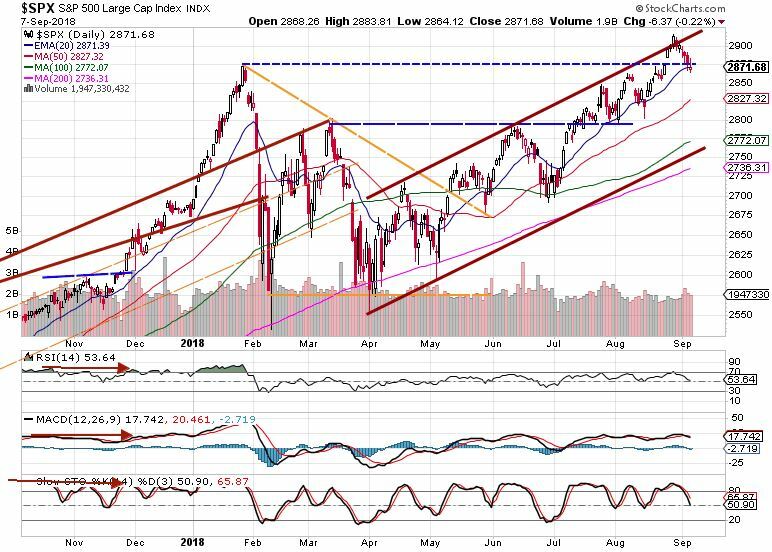 Dow has also tested its 20 EMA, so far successfully. 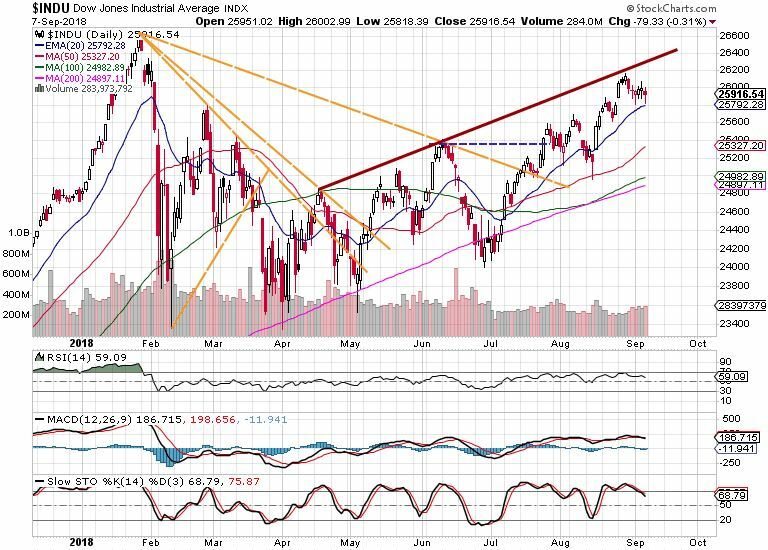 An increased volatility may bring the index to the 50 SMA. UK’s index FTSE 100 broke its very important support level (blue line) last week. 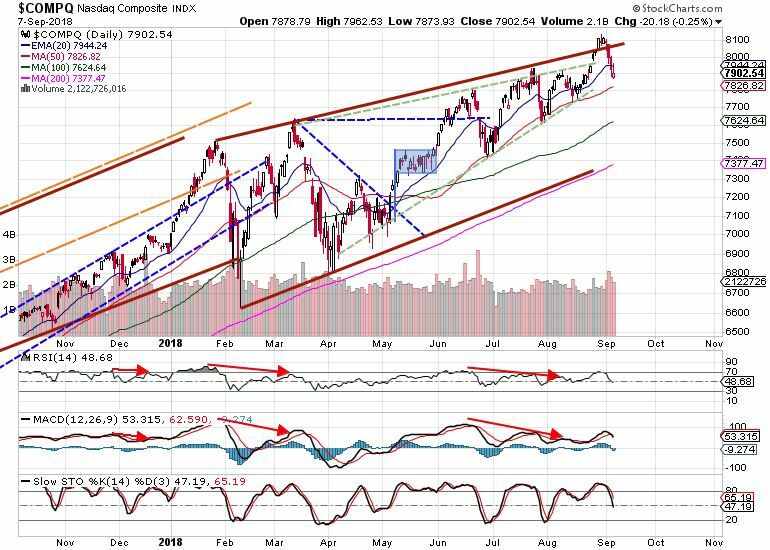 When a new support (orange line) stops this decline, the investors may take a great opportunity of a further upswing in shape of V pattern. In a long-term, we are still positive and driving a bullish trend. We believe that the market is still in level 2 of the stock market cycle.